Angels exist in Judaism, Christianity and Islam. 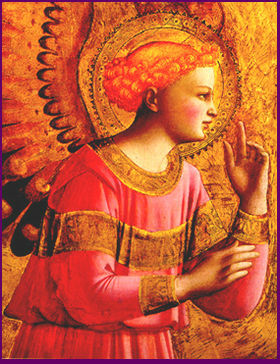 The characteristics of individual angels may stay the same even when their names change. Mystical movements and offshoots of the main religious traditions often give the most detailed accounts. In Judaism the semi-secret lore of the Kabbala (Cabala) reveals countless facts about Heaven and its inhabitants. The Islamic angels are most fully developed in Sufi mysticism. and the Hermetic tradition the Hermetic tradition associated with alchemy (alchemist invoked both angels and demons in their attempts to know and control Nature).